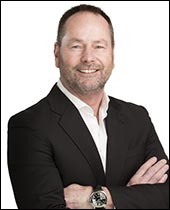 Finance controls and automation software leader BlackLine has appointed Todd Hunt as vice president and general manager to oversee business expansion in the Asia-Pacific region (APAC). BlackLine currently has more than 100 customers and 21,000 users in APAC, with the majority located in Australia and New Zealand (ANZ). Based in Sydney, Mr. Hunt will lead an ambitious growth plan to accelerate BlackLine’s business and customer acquisition across the entire region with a particular focus on ANZ and the major Asian markets including Singapore, Hong Kong, China and Japan. Mr. Hunt has more than 20 years of experience in the software industry having held senior management positions in sales, account management, business development and customer relationship management. During this time, he has lead complex corporate software sales bids, deployed effective channel strategies and developed key relationships through professional services and consulting. Mr. Hunt previously worked for Infor Global Solutions, the world’s third largest enterprise software provider, for more than ten years in several strategic positions, most recently as sales director for northern Australia. In this role, he had regional responsibility for managing all frontline channel sales in the financial services and public sectors across the organisation’s enterprise resource planning, supply chain, financial and human capital solutions. He previously held sales and account management positions with BCA IT and Hutchison Telecoms. Accounting/finance managers and compliance executives around the world use BlackLine’s cloud-based offering to automate key finance and accounting processes, which are traditionally labor-intensive, manual and time-consuming. Existing ANZ BlackLine clients include Bank of New Zealand, Boral, Bunnings, Coles, CSL, Downer EDI, Evolution Mining, Kimberley Clark, Linfox, Optus, Qantas Airways, QBE Australia, Tabcorp, Thales, Virgin Australia and Wesley Mission. BlackLine is the leader in Enhanced Finance Controls and Automation software and the only provider today offering a completely integrated cloud platform—built from a single code base that supports the entire record-to-report process, as well as a host of other key accounting and financial processes. BlackLine’s Finance Controls and Automation Platform <https://www.blackline.com/products/finance-controls-automation-suite/> increases business efficiency and visibility, while ensuring the highest degree of balance sheet integrity.